Karen Gavin and her husband John are older parents, at 60 and 69. Their son Matthew (21) has the dual diagnosis of Down’s syndrome and severe Autism Spectrum Disorder, and the couple share looking after him at home. Matthew needs 1:1 care, 24 hours a day. John is at retirement age and works part-time and Karen is Matthew’s official carer. This means she can only work part time, earning a maximum of £120 a week and this, Karen says, leaves them in the poverty trap. “We cover each other whilst the other one works, which actually provides us with much needed respite from caring. I receive Carer’s Allowance but it caps my weekly earnings, basically 16 hours work at minimum wage, which I feel is quite unfair as not all jobs, especially self-employed jobs, are paid at that low rate. This cap keeps us in the poverty trap. The couple, who live in Kent, have had to change their entire lives to look after Matthew, who also has congenital heart disease, hypothyroidism, coeliac disease, dermatitis, sensory processing disorder and a severe learning disability. He is classed as ‘non-verbal’ and displays challenging behaviours, which means life can be stressful on a daily basis. They have adapted their home to minimise challenges, installing locks on food cupboards – including a chain and padlock across the fridge – and tall safety gates to restrict Matthew’s movement around the house, particularly at night. They choose their outings very carefully to minimise any behavioural issues and keep Matthew’s stress and distress levels down, and now avoid some activities completely. He attends a local day care for two days a week, and goes for monthly two night respite stays to give the couple a break. Looking after Matthew’s health can be difficult as he can’t express himself, so they have to observe him closely for anything they think may be causing him pain or discomfort. Recently a rare anaerobic ear infection went undiagnosed for four months as doctors could not see the infection sitting behind some wax in his ear. For those four months he was quite poorly and constantly complained of ‘hurt’ but they couldn’t work out what was wrong. Several trips to the GP didn’t help. Karen says her Local Authority social worker has been brilliant, but has a huge workload. 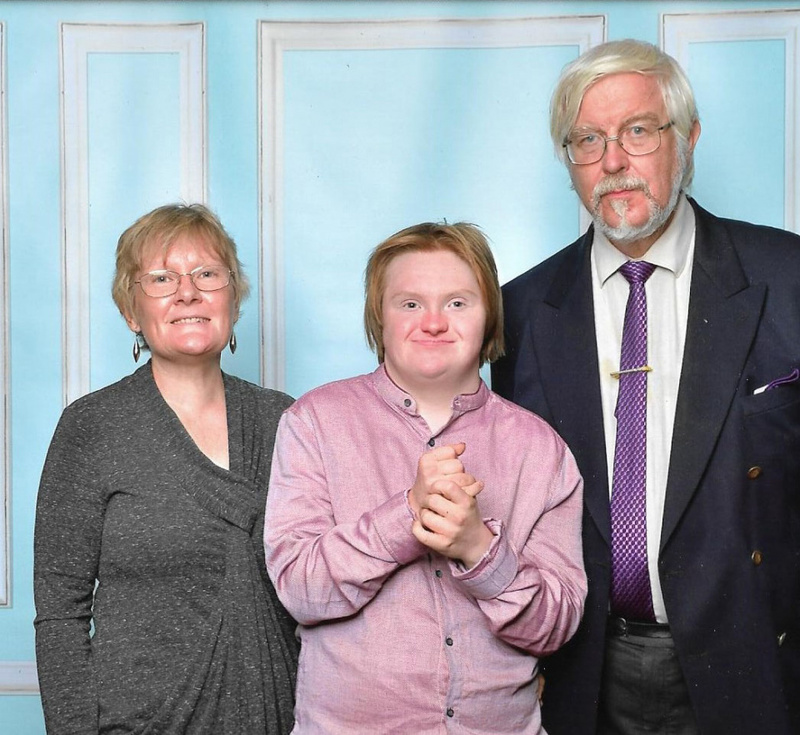 Despite the challenges Matthew brings, Karen and John love their son unconditionally and say he is “a very sweet soul who operates at a low cognitive level”. They believe he suffered some degree of brain damage in his early formative years due to very low oxygen levels caused by his severe heart problems, which weren’t corrected until he was two. Karen says the online community has been a lifeline for gaining support and knowledge. “I am a firm believer in ‘parent power’ and that Facebook is a wonderful resource for stressed parents looking for answers and support. I am one of the admins for a closed group for parents of a child with Down syndrome and autism, started by a parent in Canada. Caring for a child with severe learning difficulties is always going to present difficulties, but when in your 60s – and almost 70s – it’s particularly challenging. Karen and John would simply like to see the government’s Carer’s Allowance system overhauled to make it fairer for everybody across the country.